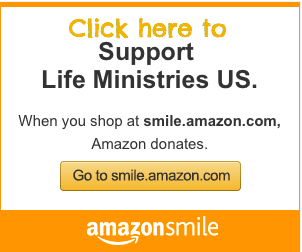 Albuquerque, NM- Four local pro life priests, Fr. Stephen Imbarrato with the Archdiocese of Santa Fe and Priests for Life, Fr. Leo Padget of Saint Bernadette Parish in Albuquerque, Fr. Rick Zerwas of Sacred Heart Parish in Albuquerque, and Fr. 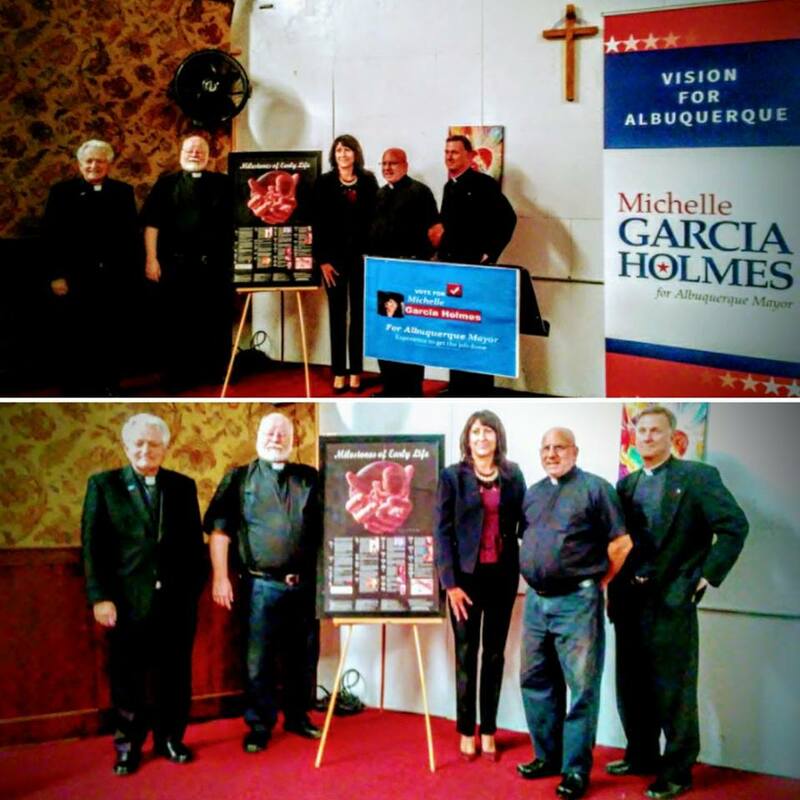 John Carney of the Archdiocese of Santa Fe for 25 years (retired) stood publicly in support of Michelle Garcia Holmes for Mayor of Albuquerque. 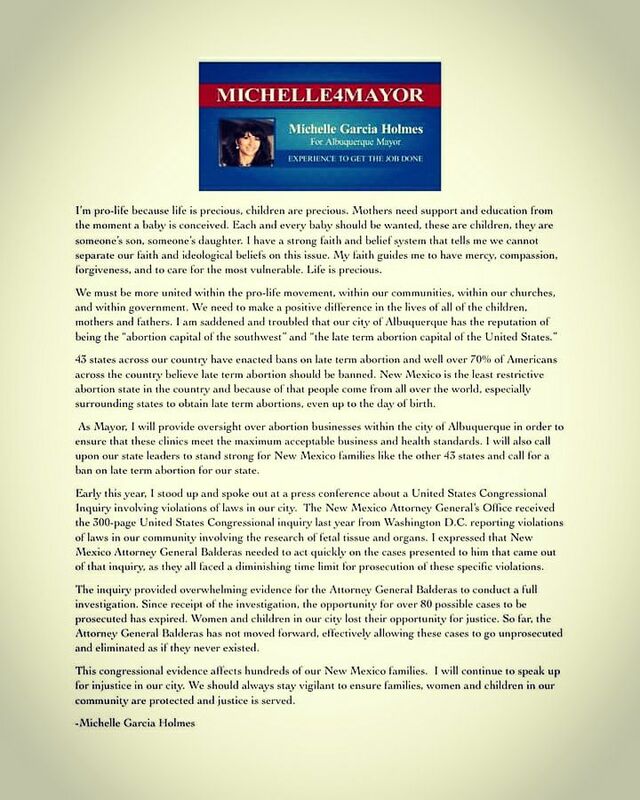 “We support Michelle Garcia Holmes for Mayor of Albuquerque, New Mexico! Catholics support life here in Albuquerque, the late term abortion capital of the country,” stated Fr. Stephen Imbarrato at a press conference held in Albuquerque today. Michelle Garcia Holmes has the experience and heart needed to turn Albuquerque around. Our city will not change unless we elect Godly leaders. Please tell your friends and family to check out her website and vote on October 3rd for the first woman Mayor of Albuquerque. 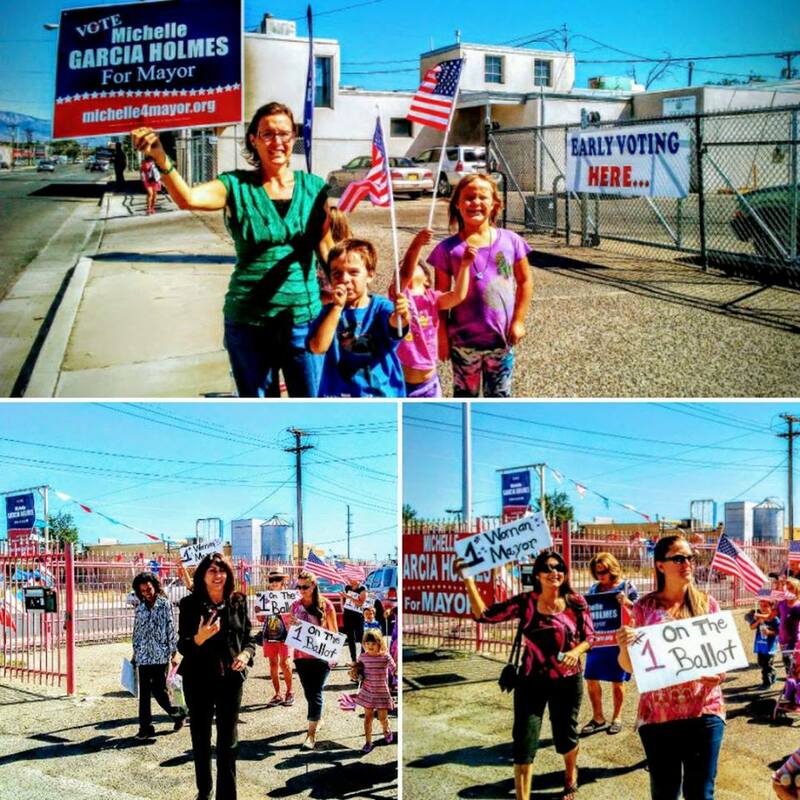 After the press conference local Albuquerque women joined Michelle Garcia Holmes in a march to the polls to vote together for the 1st Female Mayor of Albuquerque! It is no coincidence that the 1st Female Mayor of Albuquerque can be found on the 1st line of the ballot! “As a woman, wife and mother who is a resident of Albuquerque, I recognize the need for a mayor who is going to work to turn our city around in the right direction and has the experience to bring the positive change that our city desperately needs. There are many things that plague our city like crime, corruption and late term abortion. In February of this year a 23 yr old woman died during an abortion at 6 months of pregnancy at Southwestern Women’s Options late term abortion center. Late term abortions have no place in our city and put the lives of women at risk who need love and assistance, not abortion. We need a mayor like Michelle Garcia Holmes who truly cares for our city and the people who live here. Michelle Garcia Holmes has made the commitment to work to make our city safe and prosperous for all. We hope that we can count on your support for the first woman mayor of Albuquerque on October 3rd,” stated Tara Shaver, Abortion Free New Mexico. From now, leading up to October 3rd, vote for Michelle Garcia Holmes for mayor and let’s turn this city around!